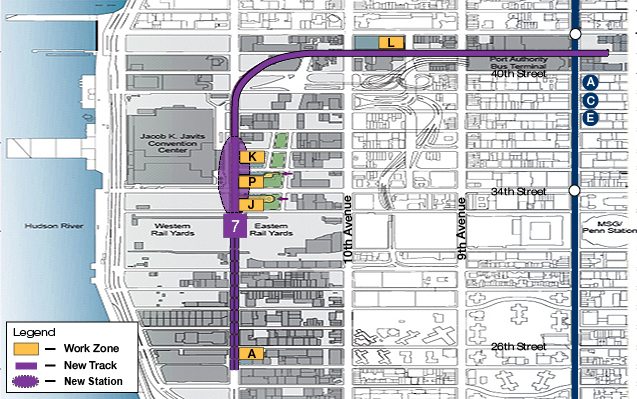 Construction on the 7 Line Extension began in December 2007 and is scheduled to open September 13, 2015. The 7 line starting in Flushing, Queens will be extending its last stop from Times Square to 34th Street and 11th Avenue. 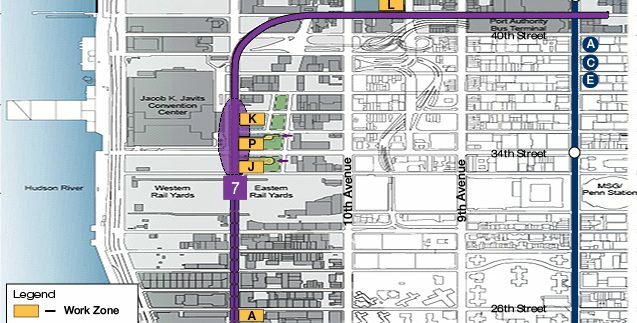 This extension will provide riders convenient access to the new developments arising in the midtown neighborhood known as Hudson Yards as well as the Jacob Javits Convention Center. 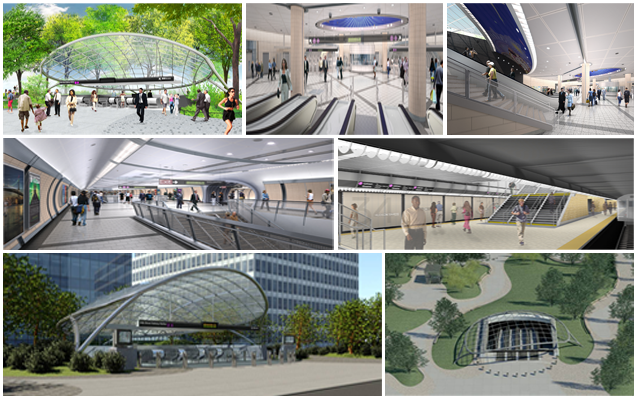 As soon as construction is completed, the Far West Side will be connected with the rest of the city and be just a train ride away.